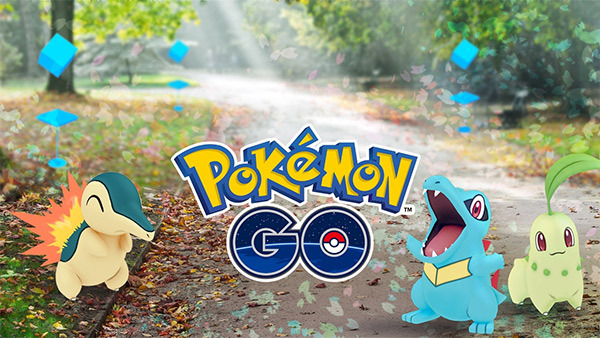 Niantic Labs – the highly skilled development team behind the worldwide smash hit title Pokemon Go – has just announced that players involved with the augmented reality game will soon be able to benefit from a plethora of improvements and new features which should instantly breathe new life into the game for those that have found it to have become a little stale. Those features include new evolution capabilities, the introduction of new berries, and even the ability to jazz up your avatar with a whole new expanded wardrobe experience. We will get to those new features in a minute, but it’s the introduction of more than 80 new Gen 2 Pokemon characters that will likely get people out and about once again. Niantic is planning on introducing Chikorita, Cyndaquil, Totodile, and a ton of other new Pokemon which were originally found in the Johto region in the Pokemon Gold and Pokemon Silver video games. That not only means a whole heap of new Pokemon to discover, catch, train and battle, but there will also be gender-specific variations of those stunning little critters rolling out very soon. From a new feature perspective, in addition to what is outlined above, there is also the incoming introduction of new encounter gameplay, which basically means that encountered Pokemon will react differently to what Trainers are used to seeing. The user-interface of the app will also be updated to include item carousels which allow the easier selection of Berries and different PokeBall types. And speaking of Berries, there will also be the new Nanab and Pinap Berries for Trainers to collect at various PokeStops around the local area. Style and panache is extremely important when traversing the Pokemon world, which is why it’s super exciting to learn that the expanded wardrobe features will now include a new array of hats, shirts, pants, and other miscellaneous items that will allow you to make your in-game avatar as unique and personalized as you are. Add those features with the new evolution experiences which allows Pokemon discovered in the Kanto region to evolve into critters discovered in the Johto region, and you have a very solid improvement that will likely regain a lot of lost users for the Pokemon Go title.